Now, people who live here say they want something done about it. 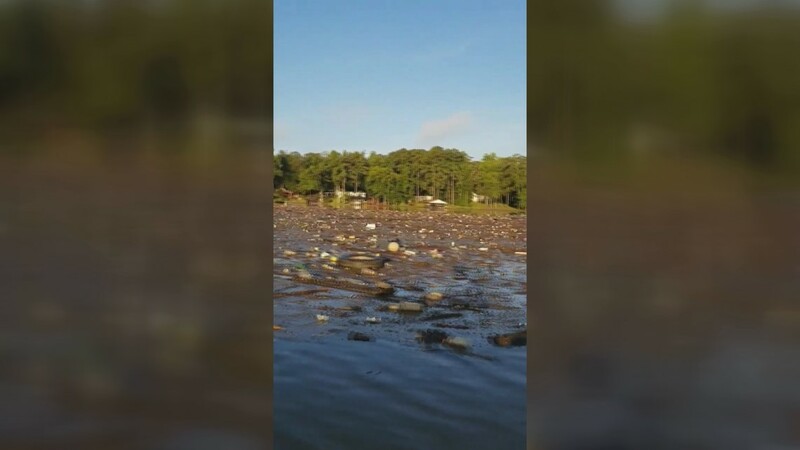 BUTTS COUNTY, Ga. — A video posted of trash in Lake Jackson is getting a lot of attention after a local fisherman posted it online. It shows garbage as far as the eye can see, and people who live there say they're sick of it. Residents there say every time it rains, all of the little piles of trash along the shore line fill the lake with garbage. Now, people who live here say they want something done about it. 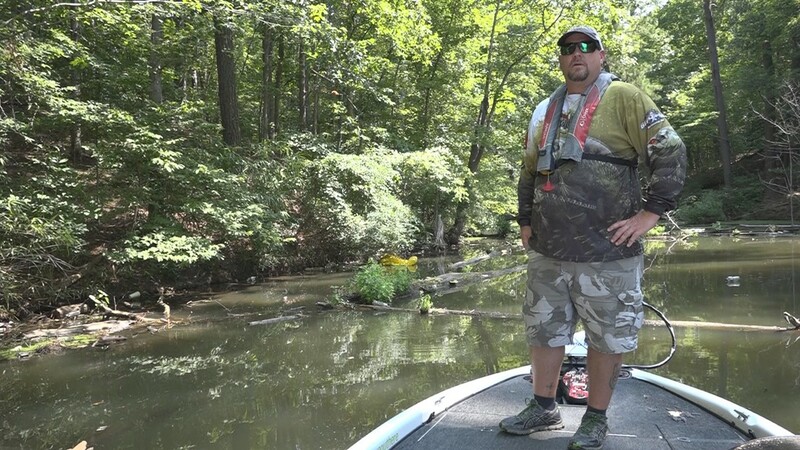 Johnny Spain told 11Alive he sees garbage - everything from shirts to bottles to diapers - floating in the water every time he comes fishing. "It's not a very pretty sight," he said. Spain explained he got so fed up last weekend, he posted a video of the trash on Facebook that quickly racked up over a thousand shares. "Just look at all y'all's trash," Spain recorded in the video. He told 11Alive's Kaitlyn Ross he thinks people are just careless, and Lake Jackson suffers as a result. "You throw your trash out your window, it goes in to the ditch, where does that ditch go? Into the creek, in to the river, in to the lake," he described. "It's an ecosystem, and we're breaking it. We're breaking mother nature's law." Georgia Power owns Lake Jackson - the state's oldest reservoir - and hosts clean up events every year. 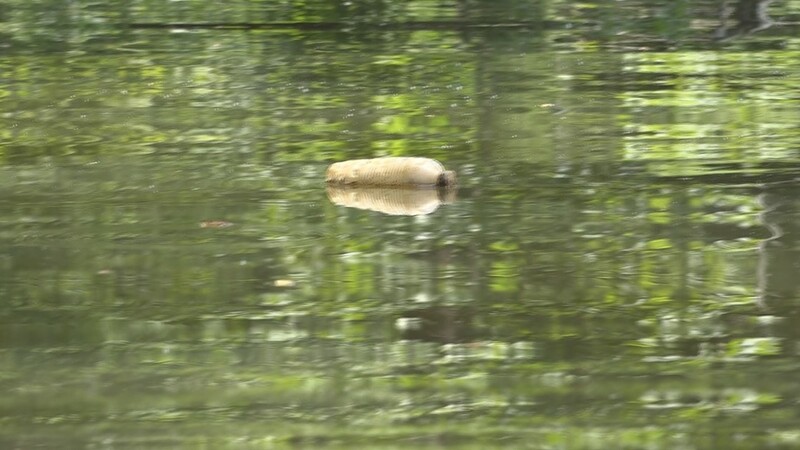 Spokesman John Kraft agreed that of course it's upsetting to see so much trash in the lake. "It's all going to end up somewhere downstream, that's why we work so hard to keep the lakes clean," Kraft said. 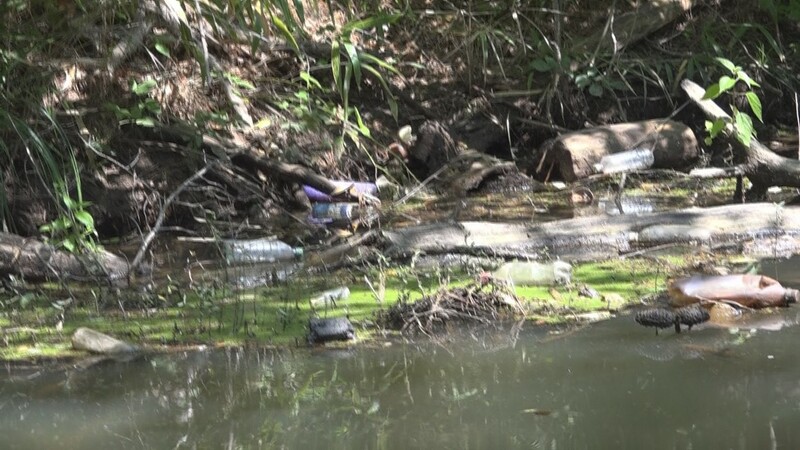 Tuesday night, Georgia Power is giving Butts County commissioners a check for a trash gate that they hope to install on the Yellow River. Ideally, Kraft said, it would catch some of this stuff before it ends up in Jackson Lake. 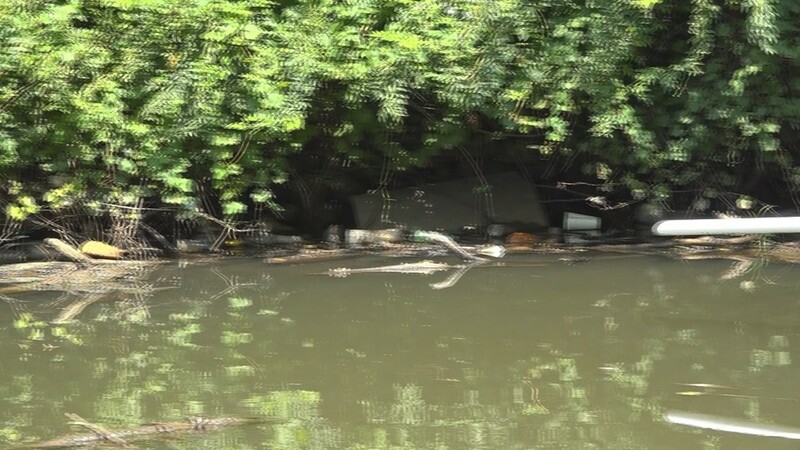 The gate is supposed to be installed at a strategic point "where the flow of the river funnels trash into the collection device," Georgia Power said. 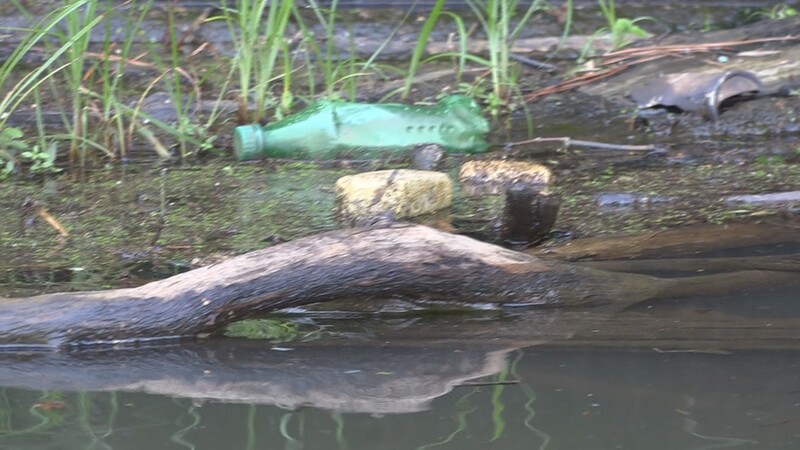 People who live on Lake Jackson, though, said while the trash gate could help, they want a timeline of when it's going to be installed and when this is going to change. "They've been talking about it for years! And I'm tired of it," Spain said. "It's time to take action." Georgia Power also said they support private groups like the Jackson Lake Association that has clean-ups. They said they provide trash bags and a dumpster to collect the trash. People who would like to help can find more information, here.